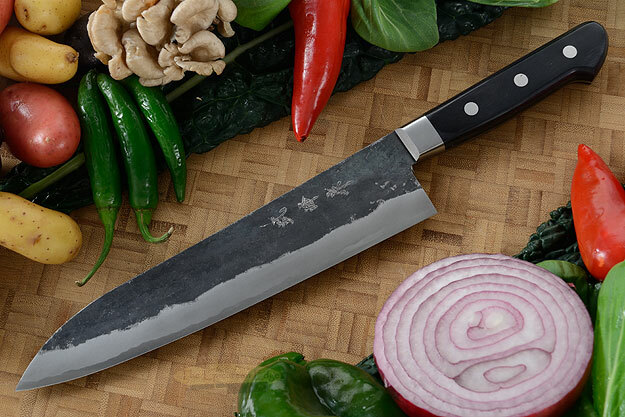 Description: The gyuto is modeled after the French pattern chef's knife. 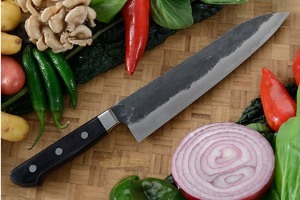 Longer and slimmer than the santoku, it is well suited to slicing and chopping -- an ideal general purpose chef's knife. 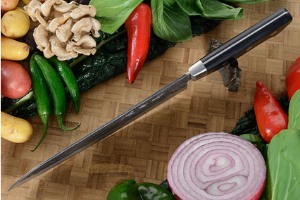 The long blade is needed for the sawing motion required to cut meat and the tall profile allows for plenty of finger clearance when working over a cutting board.